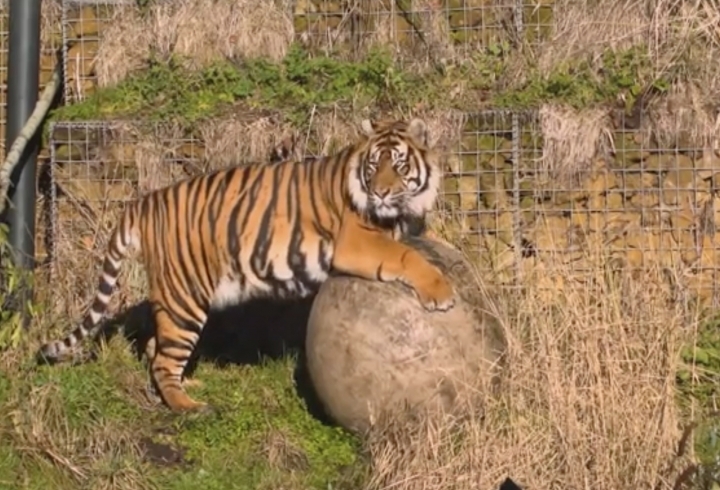 LONDON — A rare Sumatran tiger is getting acquainted with his new home after arriving at the London Zoo this week. Asim, from Ree Park Safari in Denmark, was moved to the zoo Tuesday as a new mate for its resident female, 10-year-old Melati. The keepers say hopefully they will "eventually hear the pitter patter of tiny tiger paws." 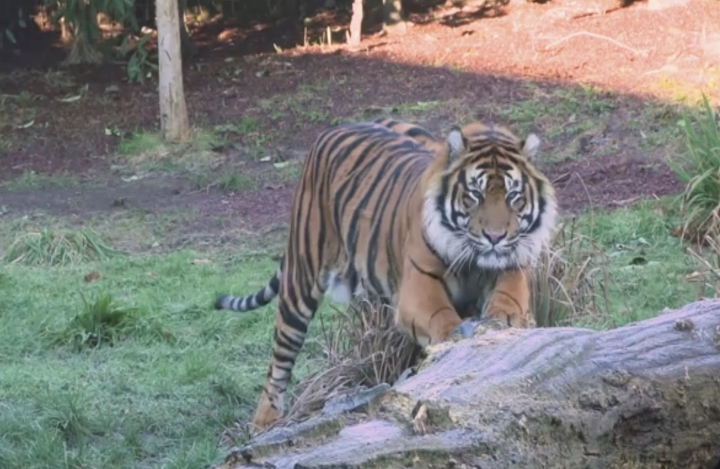 Asim, a 7-year-old, was matched with Melati through the European Endangered Species Program for Sumatran tigers, which is coordinated by ZSL London Zoo experts in hopes of saving the species from extinction.